Summer, especially in the south, brings lots of fun in the sun. Plenty of options are available to make sure your fun doesn’t result in a burn. Nobody wants to spend Day 2 of their vacation smeared in aloe vera gel and walking like a zombie. These six sun protection tips will help you avoid vacation ruination. Sunscreen is an obvious answer but many forget it when packing for a day on the water. I am a big fan of the children’s sunscreen that comes in 100UPF like the Banana Boat UltraMist MAX Protect & Play Sunscreen for Kids. When I was growing up 100UPF would have been the consistency of pudding but now you can get it in a spray on form that works great for me. 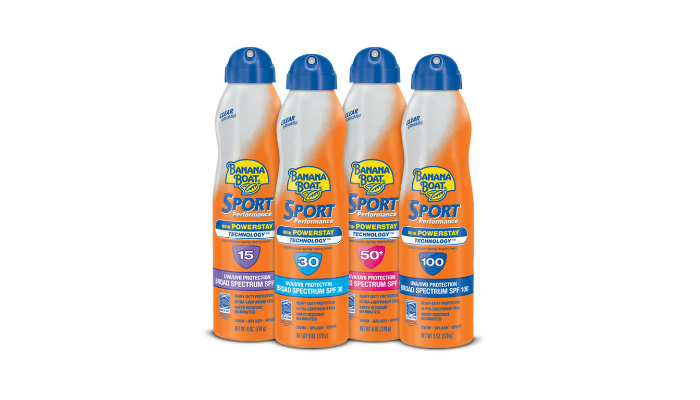 If you don’t like sprays or the traditional lotion, you can get it in a roll on stick like the Banana Boat Ultra Defense Sunscreen Stick – SPF 50. The important thing to remember though is to actually put it on. This year, after a few discussions with my doctor, I moved from a traditional baseball cap to a big, wide-brimmed hat like the World Wide Sportsman Lifeguard Big Brim hat sold at Bass Pro Shops. 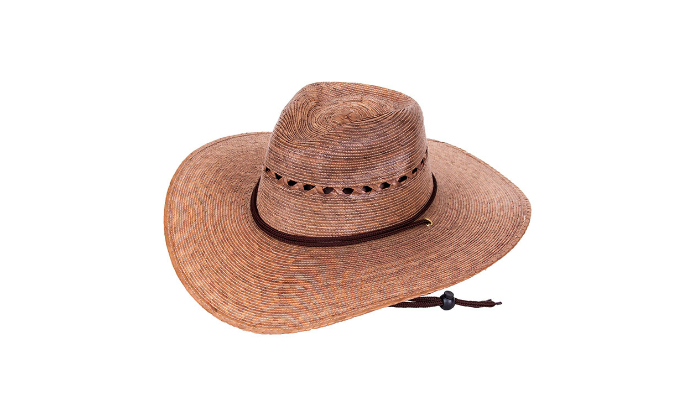 I chose a palm leaf hat that can handle moisture well and can be reformed fairly easily. I have several friends who prefer the boonie style hat. Any style of hat that provides cover for the tops of your ears, the tip of your nose, and the back of your neck is a better option than just a ball hat. It goes against the mainstream to think of wearing long pants and long sleeves in the heat of summer but it’s not as hot as you might think. Performance fabrics that are moisture wicking and breathe easily are abundantly available and reduce the number of areas you have to put sunscreen. World Wide Sportsman fishing clothing for men and ladies fits all of this criteria. You can find a wide assortment of fishing clothing by World Wide Sportsman at Bass Pro Shops here. Many of the other options on this list are obvious but did you know the sun can damage your eyes too? Exposure to the sun’s UV rays has been linked to eye damage, including cataracts, macular degeneration, pingueculae, pterygia and photokeratitis that can cause temporary vision loss. Those cheap sunglasses from the corner store probably aren’t protecting much. Find glasses that are polarized and UV protection. If you are an angler, I’d recommend you check out Costa Del Mar Sunglasses. 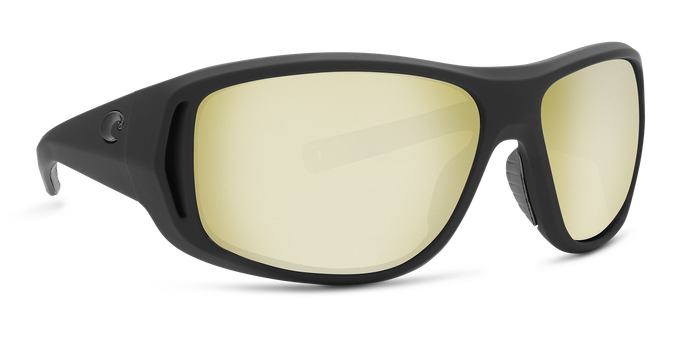 You’ll be able to see what’s out there on the water while reducing glare and harmful rays. Bass Pro Shops has a ton of different Costa Del Mar styles and accessories. Have you ever had sunburned feet? I have and it’s not something I ever wish to repeat. Since that one July day a few years back I have made sure I have water shoes on my feet. If I am at a waterpark, I’ll go neoprene slipper. However, a comfy water shoe can really be a wonderful investment. If I’m in a kayak, I’ll either do a neoprene boot or old tennis shoes. On the boat, it’s not always as conducive to shoes so I’ll remember to apply new sunscreen every hour to keep those toes the right color.